The UEFI Forum hosted a plug-fest and educational seminar in Nanjing, China this week. I have many fond memories of visiting this historic city over a period of 2-3 years. For those that don't know, a plug-fest is an occasion where folks who provide the different parts of an industry standard ecosystem get together to make sure that they all play nicely together. So, for UEFI, this includes motherboard, plug-in card, OS, system application and BIOS vendors. These events, along with the SCT (Self-Certification Test) tools, help the wildly diverse group of folks who use UEFI specifications to increase the chances that the blind-date scenario that is the PC industry works harmoniously. The presentations are being posted on-line here. Insyde posted a few other pictures from the event here. 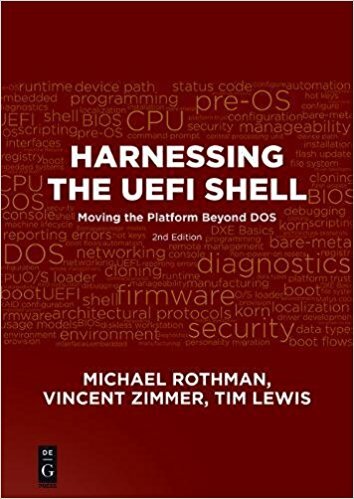 Not to be out-done by the Beyond BIOS book, another UEFI book has made an appearance: Harnessing the UEFI Shell. Two of the likely suspects (Zimmer and Rothman) are involved with both new editions (as they should be!) and I joined them on the latter since I write a lot of shell apps. You can get a glimpse inside a sample chapter and the table of contents. 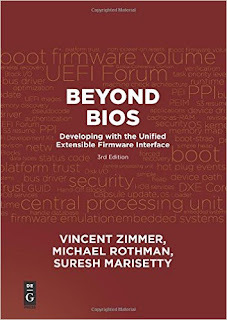 My friends Zimmer and Rothman, co-authors with me on Harnessing the UEFI Shell have also recently released an updated version of their definitive work on UEFI, Beyond BIOS, with Suresh Marisetty. 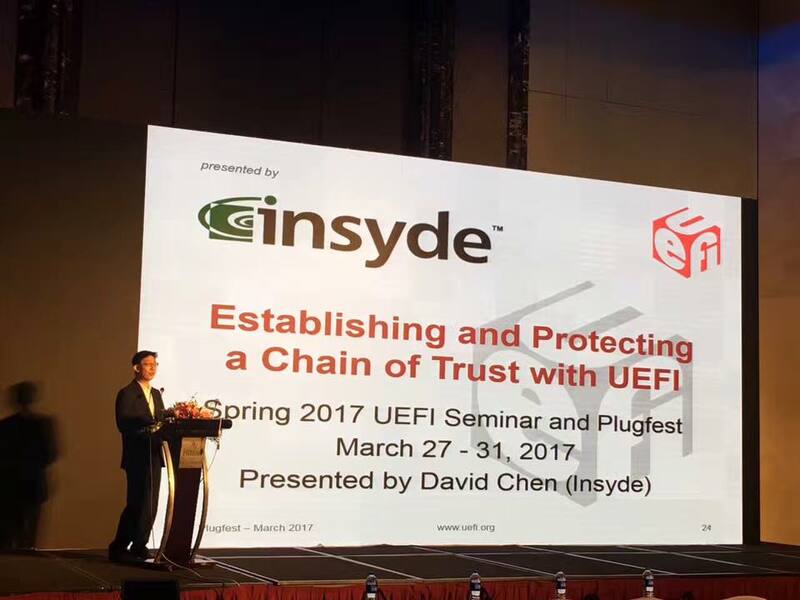 They have been driving forces in the UEFI standardization process from the beginning and their expertise shines through here. Don't believe me? Well, take a look at a free sample chapter from the book and the table of contents. 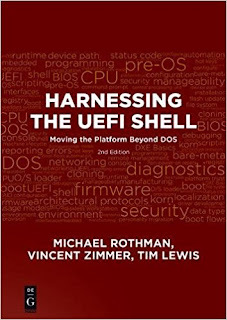 Harnessing The UEFI Shell, 3rd Edition Now Available. 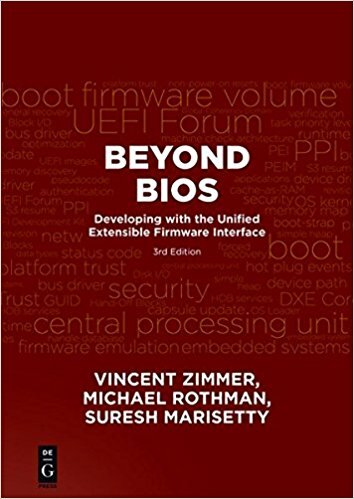 The 3rd edition of our book (co-written with Mike Rothman and Vincent Zimmer at Intel) is a substantial update, incorporating the latest from the UEFI Shell specification 2.2. It includes updates on security and how-to sections on UEFI shell applications and scripts. Before the OS starts, the UEFI Shell is small, fast and light-weight manufacturing, provisioning, diagnostics and configuration environment. Go pick up a copy here. 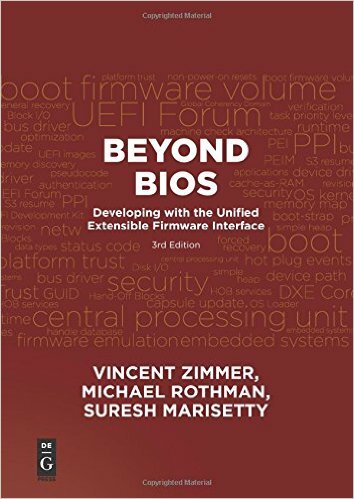 This follows up on the revised edition of another great UEFI book, Beyond BIOS, that came out last month. Between, they serve as an unrivaled introduction into all things UEFI.